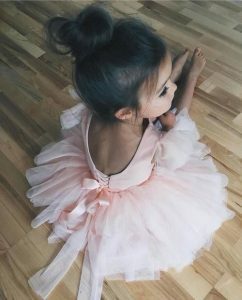 If you’d like your child to try Ballet or Modern Dance we think you’re making a great decision! If your child is 2 ½ years+, pop along to one of our Dinkie sessions and see for yourself. We’ll introduce you to our building where you’ll find easy buggy and wheelchair access, baby changing facilities and a kitchen where you can help yourself to tea and coffee. Our teacher and assistant often like to say hello to the children and parents/carers before the group starts. Most parents and carers stay in the waiting room and socialise and can even surreptitiously peak through a window into our beautiful hall. Occasionally a parent may want to sit in the lesson especially if it is their first time; a child may just want to sit on the side and watch for a while before joining in. This is quite normal, just like dipping a toe in the water before submerging yourself fully. The children are very small and a dance class is a new environment with lots going on. When you’re ready, you can tip-toe out of the hall. Our teacher and assistant will gently encourage every child to choose a teddy and sit in a circle, play games and enter a world through story-telling, music and actions and props. But we never force a child to participate, knowing that confidence is built by encouragement and support and progressing at a child’s own pace. Within a couple of sessions, children participate fully and are quickly encouraged to explore a wonderful world of culture, physical development and creativity. But what to wear? Initially we suggest bare feet with leggings/ shorts and T- shirt. Boys are highly regarded in the world of ballet and most welcome in all our classes. They initially wear shorts and T-shirts. 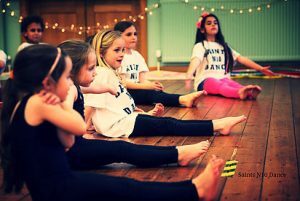 For your convenience, Dinkie Dance classes also have the option to drop in and pay weekly, which is ideal for those first tentative sessions, but please register to let us know you are attending. Places are limited and offered on a first come first serve basis; if you prefer to secure your place you may wish to pay for a term. 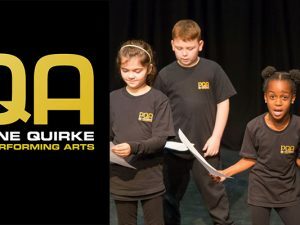 OPEN DAY AT THE PAULINE QUIRKE ACADEMY OF PERFORMING ARTS IN FINCHLEY!